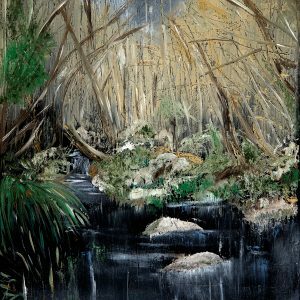 Maureen is a visual artist who is driven to paint things that capture her eye. In most cases inspiration comes from sea and landscapes. She works from her studio based in Oxfordshire. 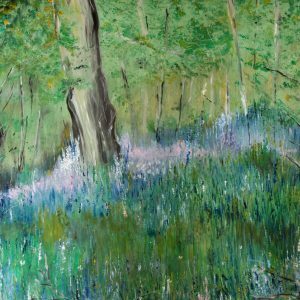 Maureen’s work is increasingly in demand and she has exhibited widely in the Cotswold’s, Ireland, Jersey and France. In 2015, Maureen was awarded a two week ‘Artist Residency’ at Cill Rialaig Project in the spiritual retreat of Ballinskelligs, County Kerry, Ireland. She also qualified as a finalist with two pieces of her work at The Poseytude Gallery in Oxford, which specialises in promoting the work of emerging artists on the rise. 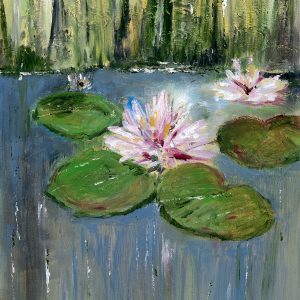 Maureen used acrylics in her earlier paintings but now works mostly in oils and pastel. She loves the effect these mediums can bring to a painting. She has two distinct styles and prefers to use a variety of techniques. 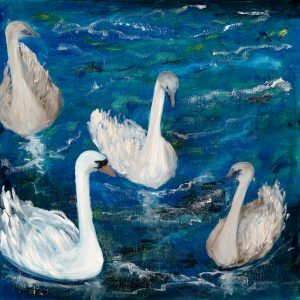 Many of her figurative works are done using brushes, however for abstract work she likes to use pallet knife, fingers or sponges to gain the desired effect.